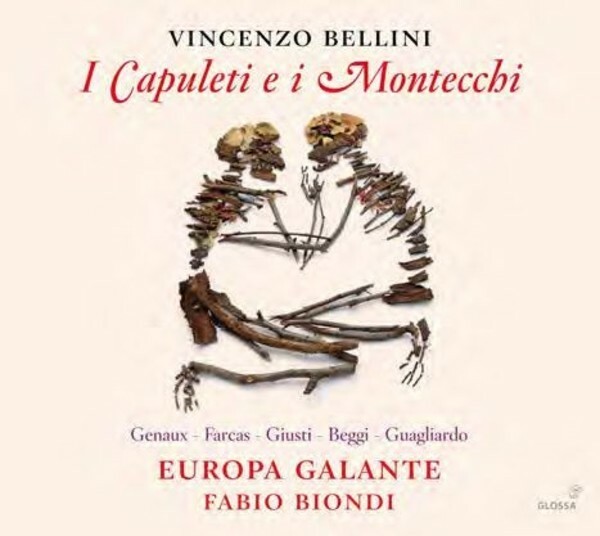 For many years Fabio Biondi has been investing Italian scores with his own particular genius, and so it is no real surprise to find him extending his reach into early Romanticism with this Glossa release of 'I Capuleti e i Montecchi'. Bellini�s masterpiece, first performed in 1830 � to Felice Romani�s story of love confronted by struggles for power � seamlessly incorporates large sections from a previously unsuccessful opera and, as did Rossini before him, Bellini calls for a mezzo-soprano in the male lead role. Vivica Genaux is Romeo in Biondi�s production with Europa Galante (made in Rieti) and she is joined by Valentina Farcas as Giulietta and supported by Davide Giusti (Tebaldo), Fabrizio Beggi (Lorenzo) and Ugo Guagliardo (Capellio). Fabio Biondi clearly intends listeners to discover new details and perspectives on and around the musical score of this new 'Capuleti'. In his notes he talks about his careful attention to questions of the original acoustic conditions for an opera like this, how modern-day orchestras are now much larger than in Bellini�s time, and the particular importance of score markings and tempi choices. Recorded in Rieti (Teatro Flavio Vespasiano), Italy, in September 2014.